Bill Dunne is an anti-authoritarian prisoner sentenced to 90 years for the attempted liberation of anarchist prisoner. Bill was arrested in 1979 when he and Larry Giddings attempted to free fellow revolutionary Artie Ray Dufur. The two were arrested after an exchange of fire with police as they were fleeing the scene. Bill and Larry were charged with auto theft and aiding and abetting the escape, for which Bill received and 80 year federal prison sentence. In 1983 Bill attempted to escape prison and was given another 15 years in prison. Bill spent seven and a half years in lockdown at the infamous maximum security Marion prison for his attempted prison break. During his time in Marion he helped prisoners pursue their education, both politically and academically. 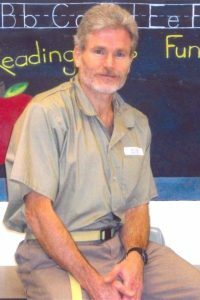 Bill also continues to stay active politically, helping edit and write 4Struggle Magazine, organizing the yearly Running Down the Walls 5K for political prisoners, and serves on the ABCF Prisoner Committee.